Disaster strikes in the realm of Konigriech! 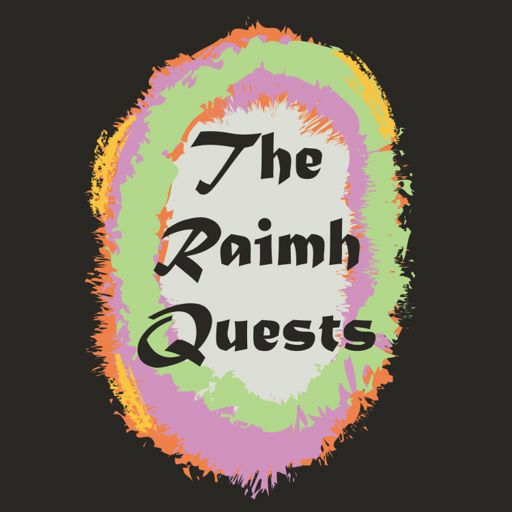 Will our adventures answer the call of the Raihm Quests? Hosted by Tom Stickler. As the gang continues on their quest they journey to the town of Wissen. Pranks and puzzles and manors oh my! Upon delving deeper into the Wissen manor the party meets some rather interesting creatures. Let’s hope they can work through this phase of their adventure. The gang gets a better meeting with some of the denizens of the feywild and learns some valuable information concerning the next step of their quest. S1E8 - Adventure? You Jage-Bet! After the loss of last week the gang decides to just keep moving and makes their way to the city of Jagebet to go see a man about a dog... well a boat but you get the idea. After braving the fierce waters that surround it our heroes must deal with the dangers of the Southern Maw itself or else have their quest routed in its tracks. In the search for a power source for their magical source the gang comes across some big doors with big faces and big challenges behind them. Frustration and minor bouts of madness ensue. After finding what they they're looking for the gang find out they have business in Becklen. They're Becklen business. Like my old Da used to say "watch out for the sludge madness!" We should have listened. We could have avoided whatever it was that happened here.